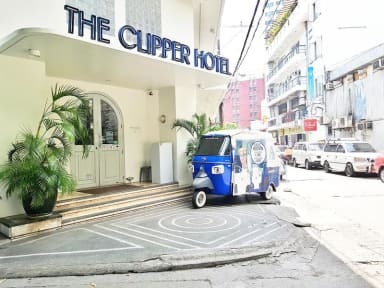 The Clipper Hotel is set within a residential area between the nightlife of Burgos Street and the restaurant row of Polaris and Jupiter Streets, providing both the best of quiet comforts and the proximity to the area’s vibrant experiences. Tourists out to explore Makati and its neighboring cities can also make The Clipper Hotel their base. The A Venue and Century City Malls are accessible by foot, while the malls in Rockwell and Ayala Center are a short drive away. Besides its location, the unique style of The Clipper Hotel makes it stand out from other hotels in Makati. Here, Art Deco architecture reminiscent of Old Manila is harmonized by contemporary amenities like cable TV, 100% cotton duvets and premium beds, solar-electric water heaters, and free Wi-Fi access. 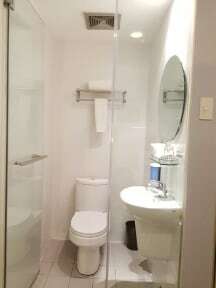 To top it all off, rooms are offered at affordable rates.